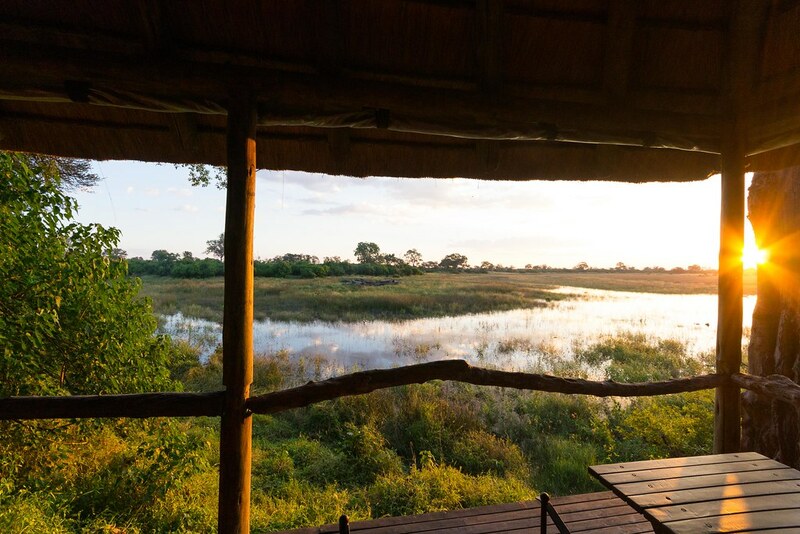 Finding a True Wilderness in Botswana. I’m about to board my first solo flight in years. The solo traveller being me. 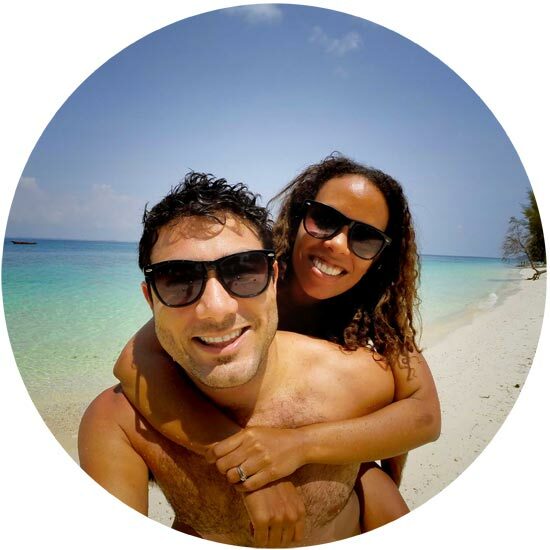 After travelling for years before getting married, then living around the globe with my other half before missioning around as a family of three with our toddler, I was finally taking a journey alone. A much-needed trip to replenish and detox from the digital world that had become my life and career. Aside from a night or two, I hadn’t left my son’s side or even remembered what it was like to visit a new place without my husband. So as I buckled into the Wilderness Air ‘bush taxi’ next to the pilot Mike, I screamed inside at the excitement and possibility of it all. 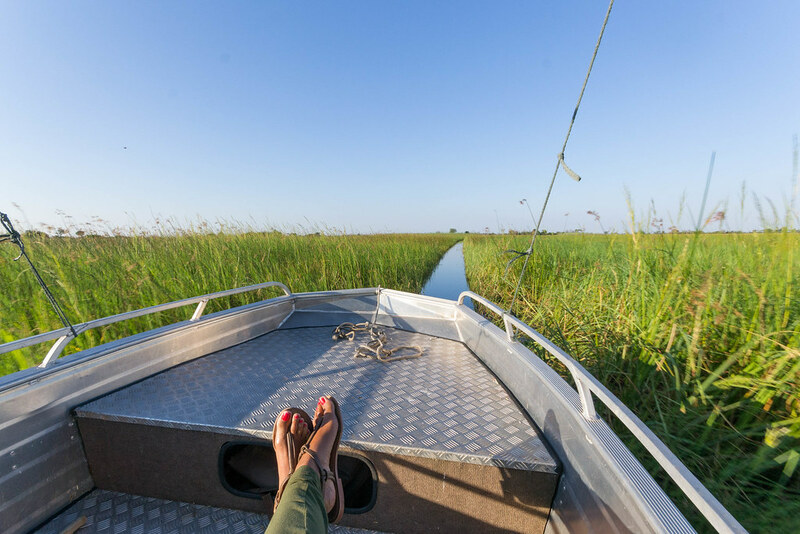 Turns out I couldn’t have chosen a better destination than Botswana or a better ecotourism company to take me there than Wilderness Safaris. 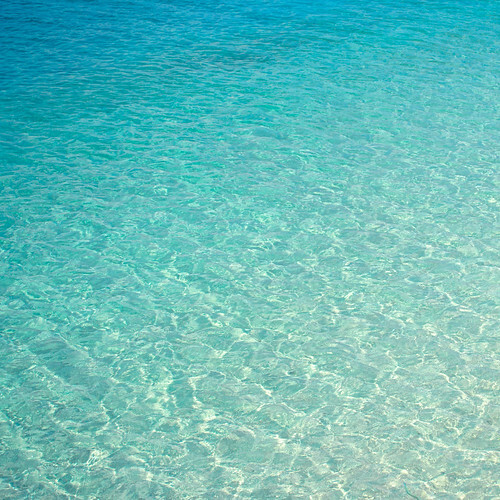 But for now, all I felt was a surge of motion sickness coming in waves as the tiny plane dipped ever so often. 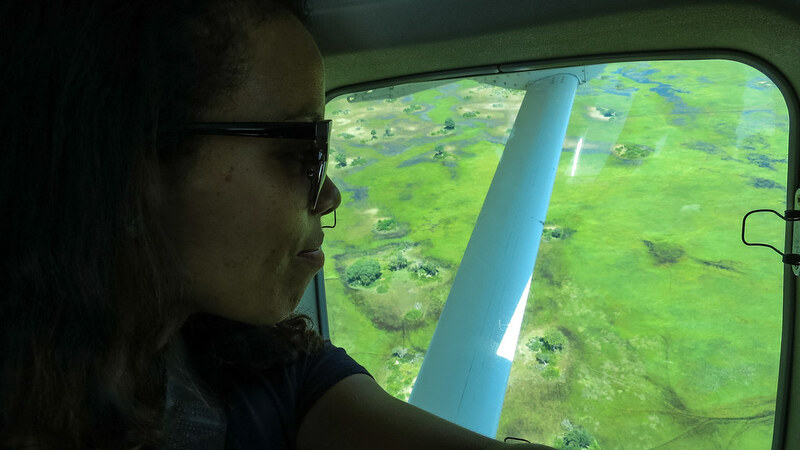 As the Okavango delta’s marshes, swamps and floods came into view far below me, I joked and reassured Mike I could take over from him at any point whilst pointing to the air control in front me. He laughed and seriously joked that I should avoid touching anything. 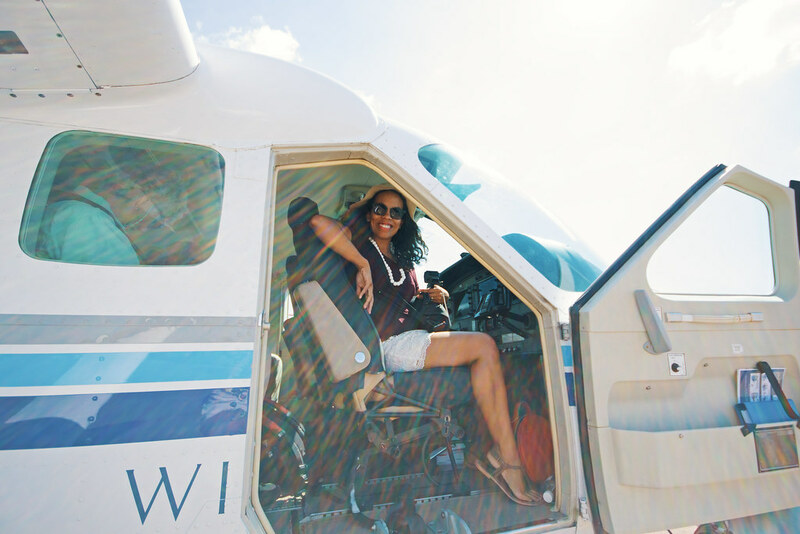 Without coke and motion sickness tablets, I wondered how I would survive the 45 minute flight, but before I knew it, we had landed on an airstrip where the only immigration officers were impala, warthog and a few kudu. Immigration officers on the airstrip. 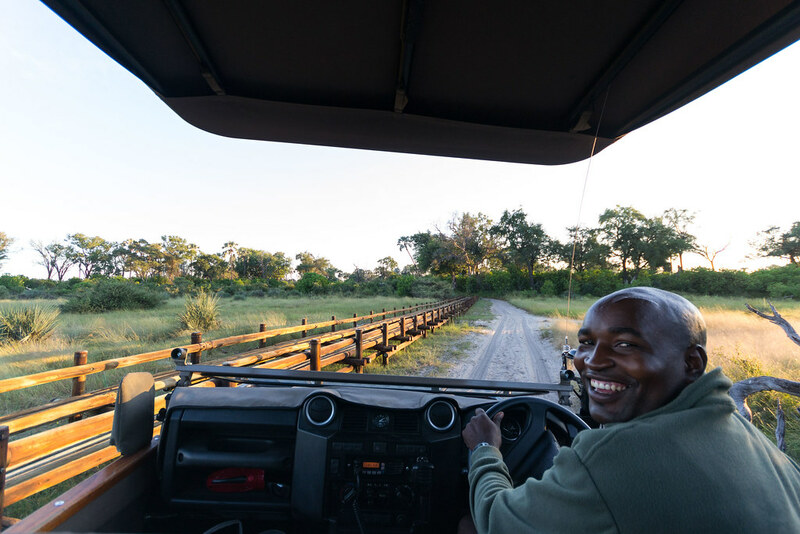 My guide for my two night stay at Savuti camp, Lucky, picked me up and ferried me through plantations of Mopane and sandy roads. 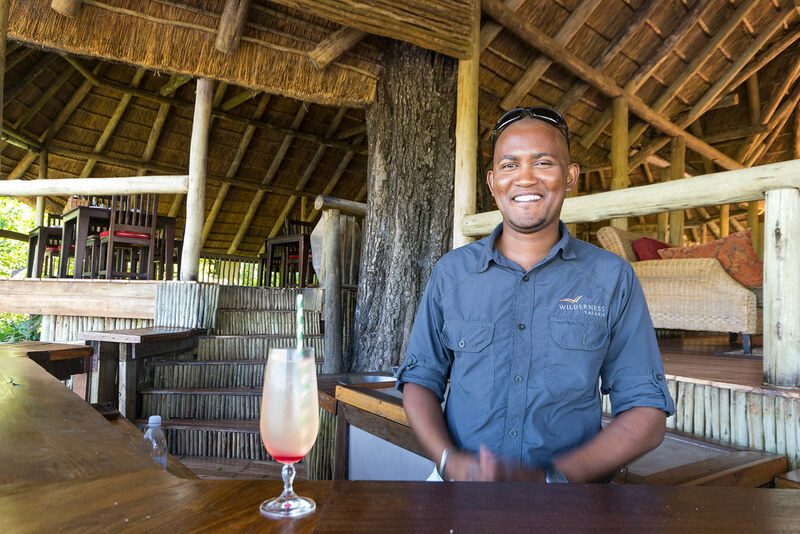 Upon arrival at the seven/eight bed camp, I was welcomed with cool cloth, a welcome drink and Wilderness Safari’s youngest General Manager, Neumann Vasco. 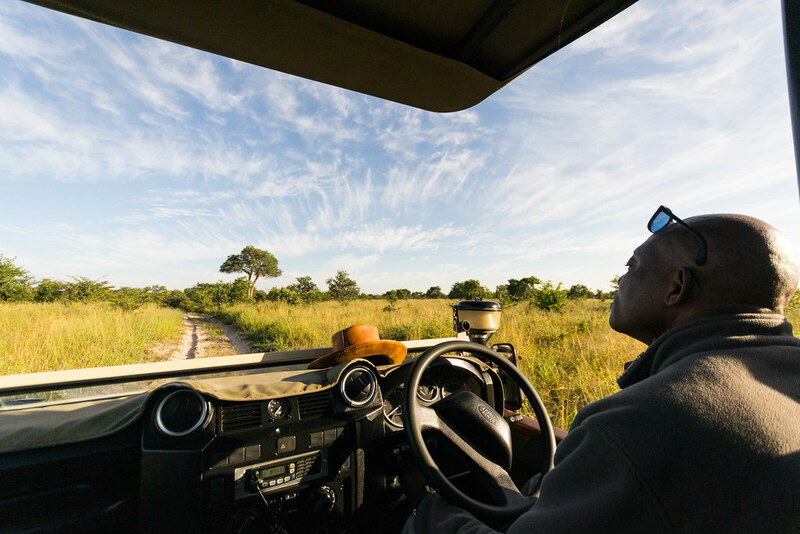 Botswana-born, his journey with Wilderness Safaris had began when his Dad was first contracted to transport materials for construction to the camps while Neumann was growing up. It was then that his love and passion for the bush was firmly instilled in him. “We had a farm so school holidays were always in the bush and I’ve always felt quite at home here. It always made sense that whatever I did, would involve me working in the bush, otherwise I would become a guide or a manager.” After getting a degree in tourism and geography and starting a training programme at Wilderness Safaris, he got hired as a trainee manager, started localisation training before working in various areas of camps and finally six working as a manager for the last 6 years. And now heading up the Savuti camp with his wife, Ruvet. Newman Vasco, GM of Savuti Camp. 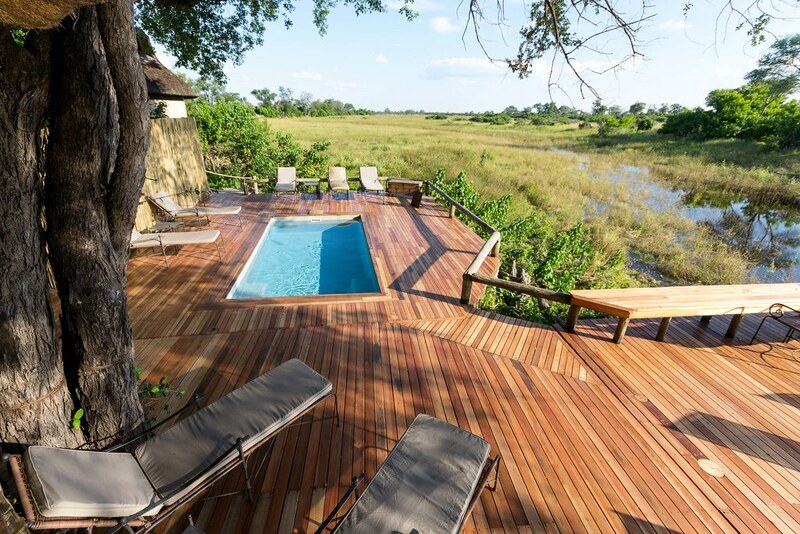 Sipping my ice tea, I glance out over the swamp that has just filled up the area in front of the pool deck and bar area. This was to become one of my favourite views of all time during what felt like two endless days. 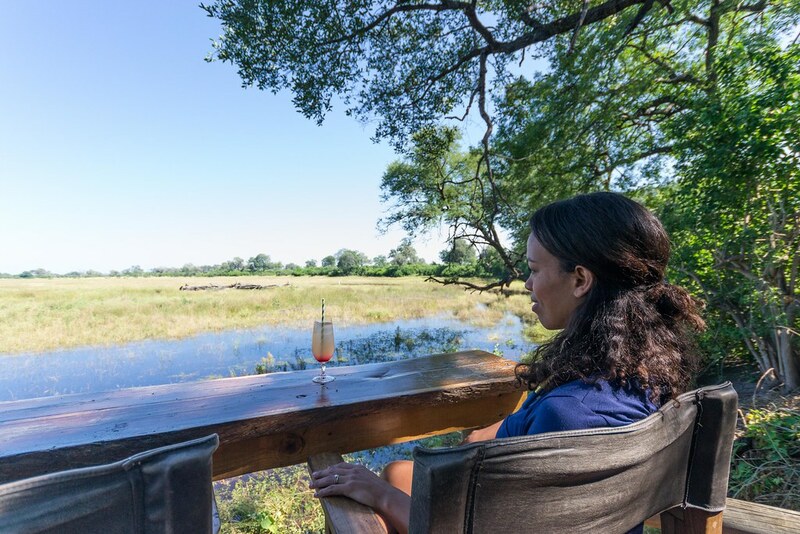 I was also to discover that even though it’s the Okavango Delta and neighbouring regions like this one in the Linyanti concession, driest season, it has more water now than during it’s wet season-One of the many truly spectacular aspects of one of the world’s richest ecosystems. 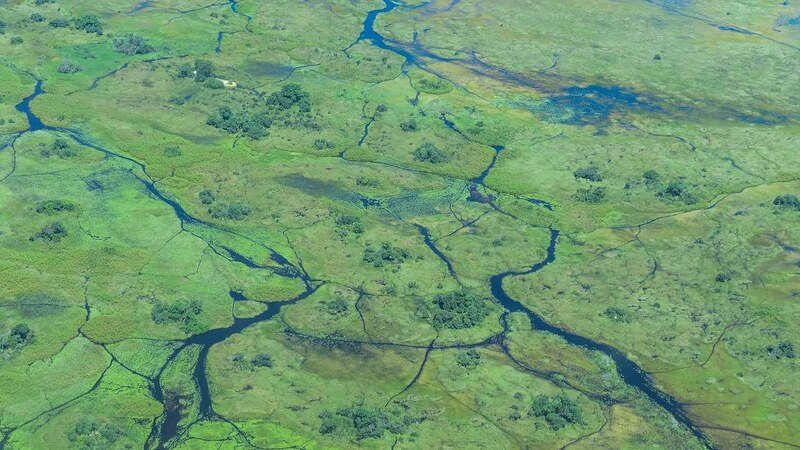 When rainfall from the Benguela Plateau finally makes it way down some of Africa’s vast rivers and down the Okavango River in particular, they flood the region becomes full with new watery veins that trail across it’s savannahs and once dry land. 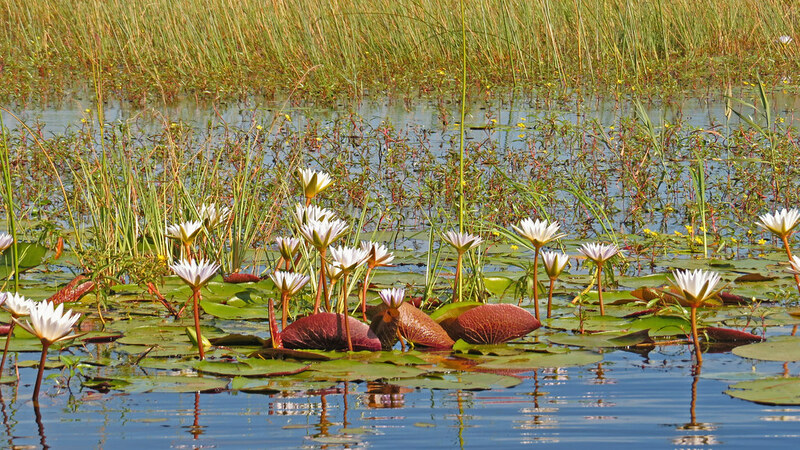 Many of the species have adapted so well to the floods and water patterns that they can survive in the water and dry land. By the time I peel myself off the couch in the explorer theme lounge of the Savuti, I make my way to my ‘tent’. Shards of glorious tangerine light signal sunset time and have to hold my breath as I make my walk from the boardwalk onto my balcony. 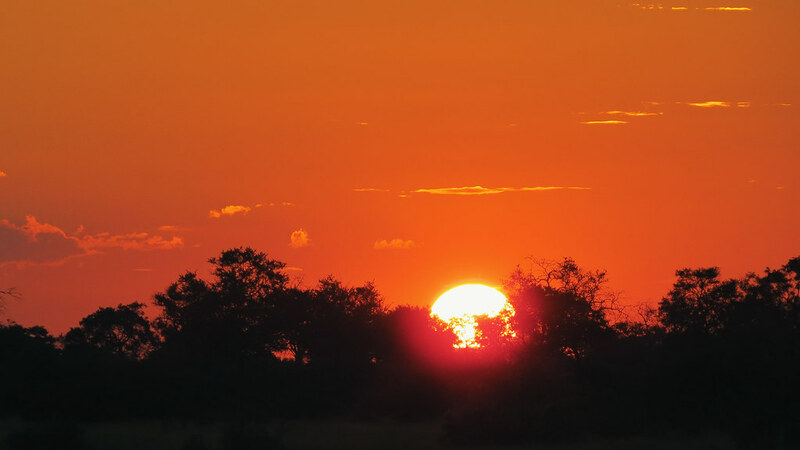 I’m party to a truly magical symphony of the sun bidding farewell to another day in the bush. And as a red globule drops behind the trees, the birds seem to relax over the water and know it’s time to make way for the frogs. 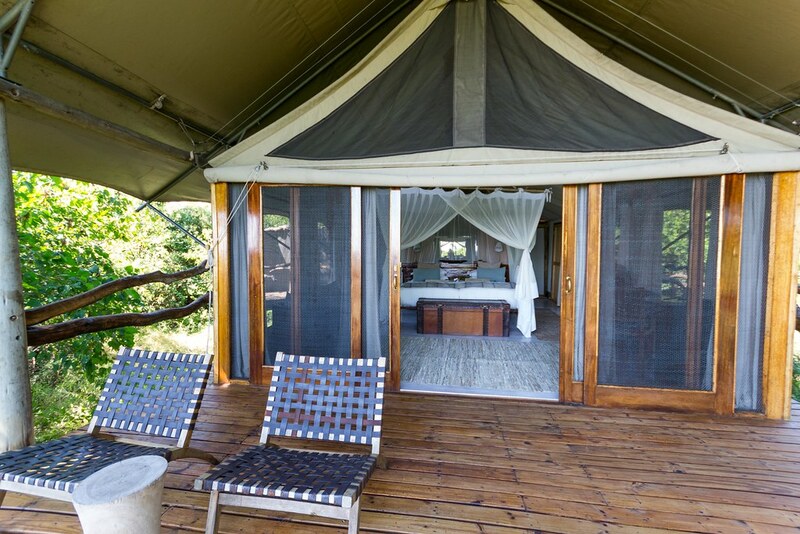 A four poster bed with mosquito net, desk over looking the water, lounge area and copper-finished shower may be the grandest form of glamping I have ever witnessed. As a mom, there’s very little that you ever get to truly call your own: your space, your toilet, your bed, your time, silence is all shared and consumed by a lovable little being but here it was all mine. 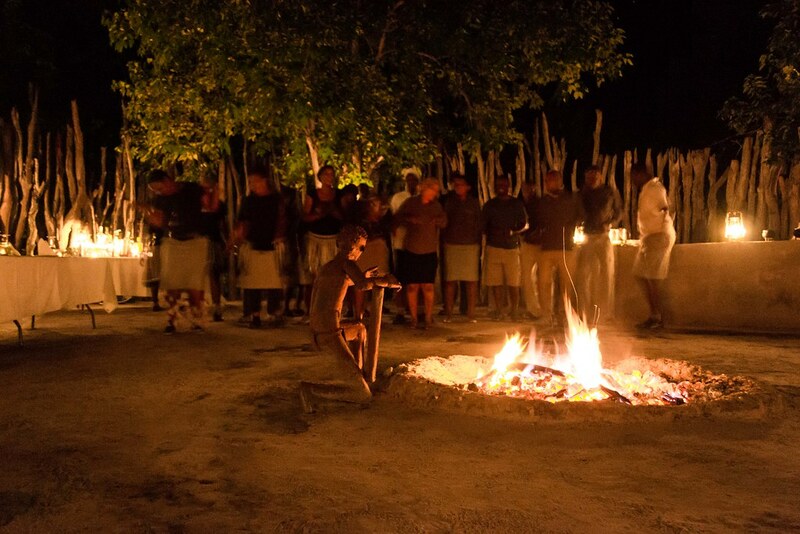 By night we sit in an enclosure where our chef takes coals from the fire to heat and make our meals on one side. Staff members sing, dance around the fire and shake their feet and ankles that allow the plastic rattles to vibrate and resound. 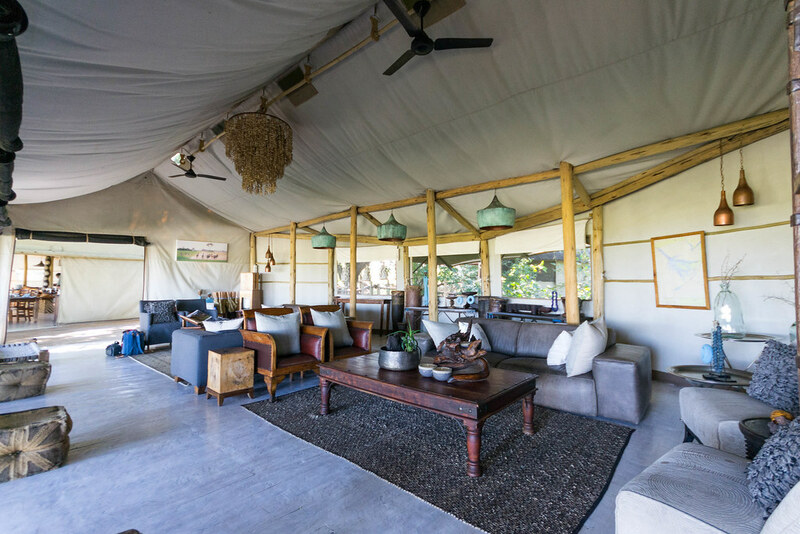 In the glow of the lanterns and the fire, Neumann regales us with tales of how hyenas, lions and leopards have each once come into this boma before and how so much of the staff including himself have encountered predators right here in the camp or near the housing. Terrified at the thought, I now realise why we need to be escorted by a guide to our tents by night. 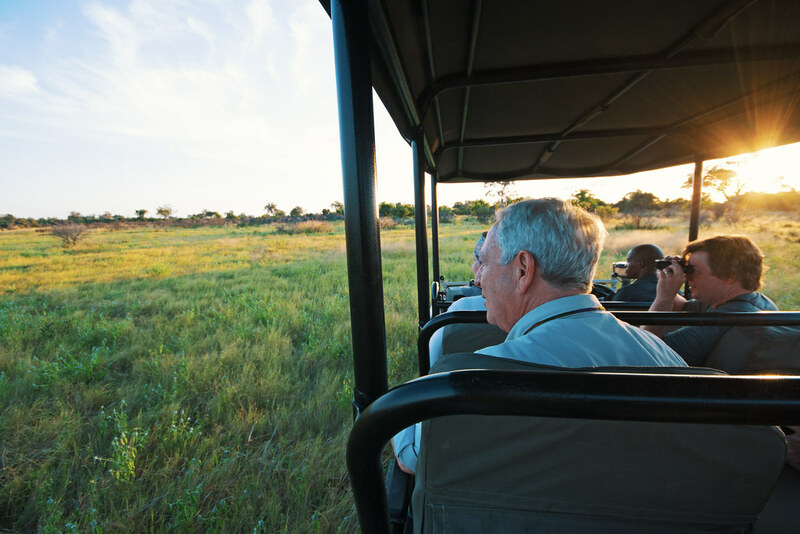 Unlike other camps I’ve been to in South Africa, there is no separation between us and the bush. We are truly in the wild and in the moment I’m partially thrilled and terrified. 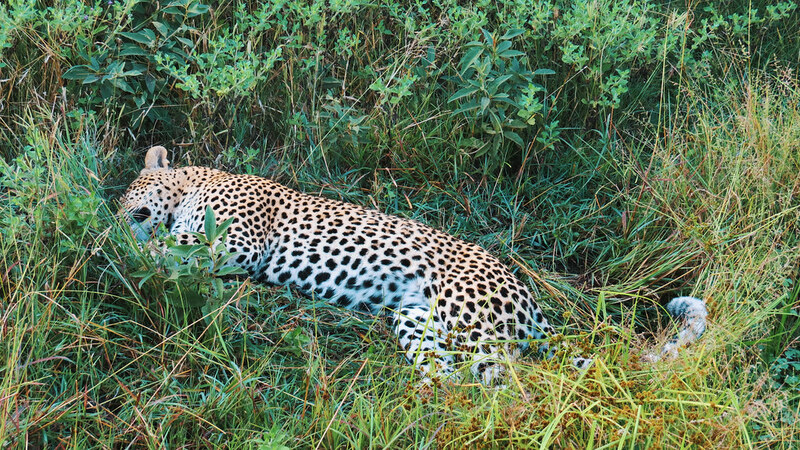 We’re advised to move sideways or backwards slowly depending on whether we encounter a lion or a leopard but I honestly can’t hear much or remember which was which as I’m pretty sure fear will paralyse in the moment. As we all enjoy a last nightcap before bed, Newman tells us how he never thinks of this life as work. “I feel like I get to invite and hosts guests in my home every evening”. 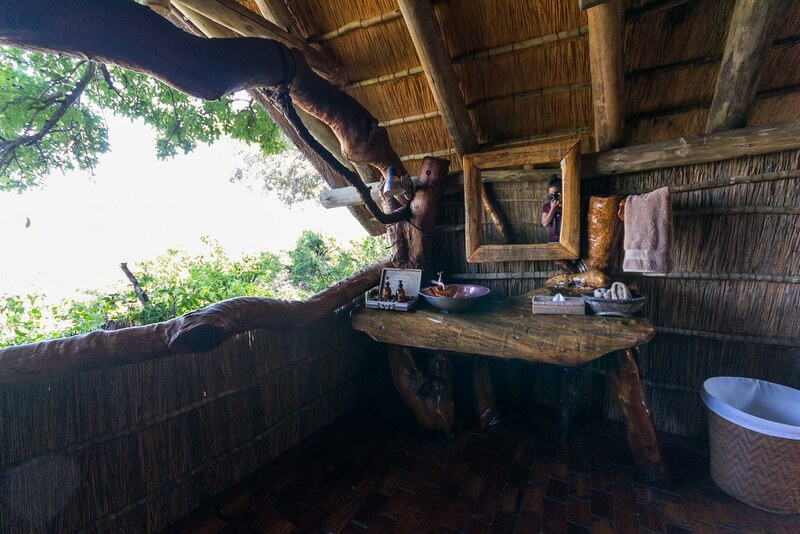 It was true; I felt like I had arrived at my very own home in Botswana. 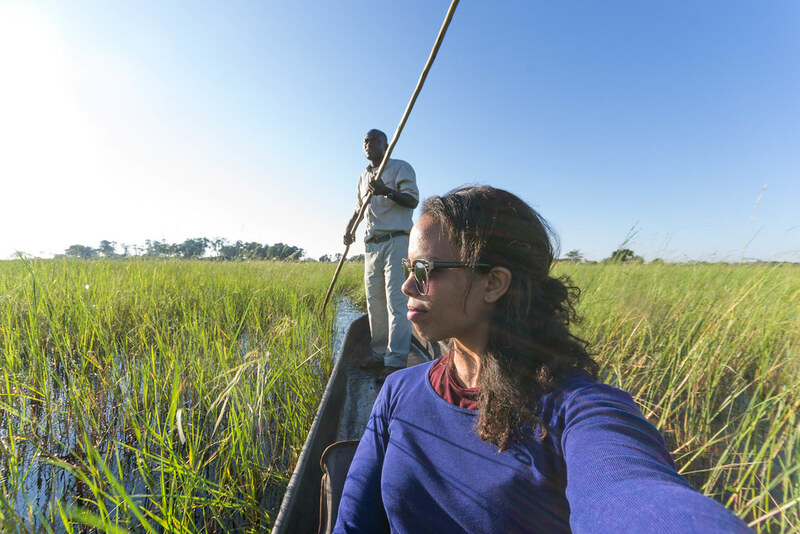 Cruising down the Linyanti River. Photo by Neumann Vasco. 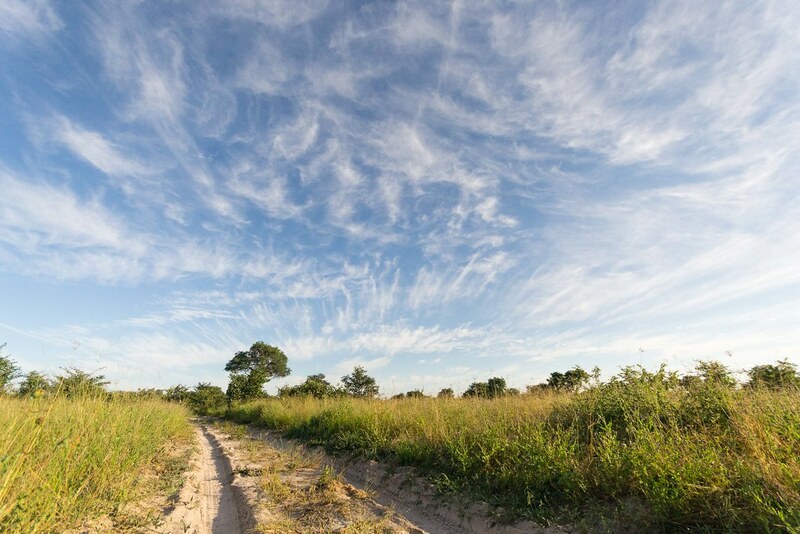 By day, Lucky, Neumann and I set out on a game drive beneath a blue sky exploding with cirrus clouds which seems to frame the acacia trees and wildlife we spot in the way. Before diseases impacted the industry, Neumann tells me that cattle and beef used to bigger than tourism. 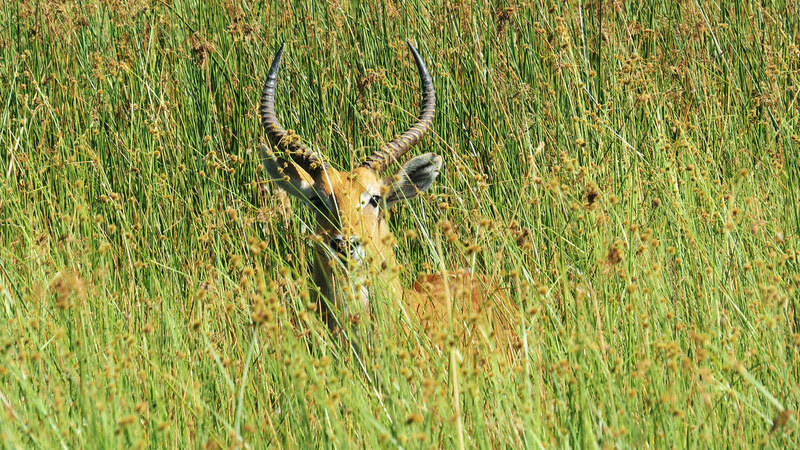 He believes that the strategy the government came up with is a winning one: High cost, low-impact strategy controls the number of visitors per concession, ensure its exclusive and relatively expensive but one he believes to be worth it as you get to enjoy pristine areas of true wilderness without seeing 15-20 other vehicles. My guide from Savuti Bush Camp, Lucky. 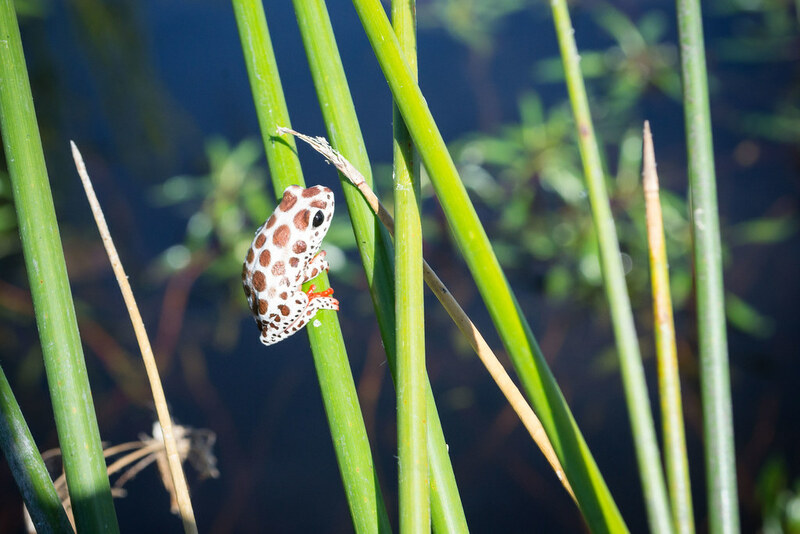 As we cruise along the Linyanti river beside the DumaTau camp, we slow down beside the reeds to look at various coloured Angolan reed frogs. 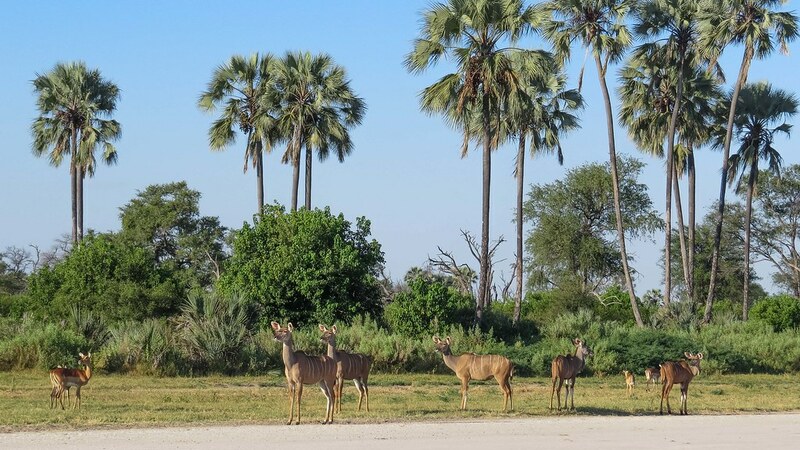 As we see groups of red lechwe crowd near the water with only their upper hind legs distinguishing them from impala, we get chatting about how Botswana is fast becoming a eco-tourism hub to contend with other destinations around the world. 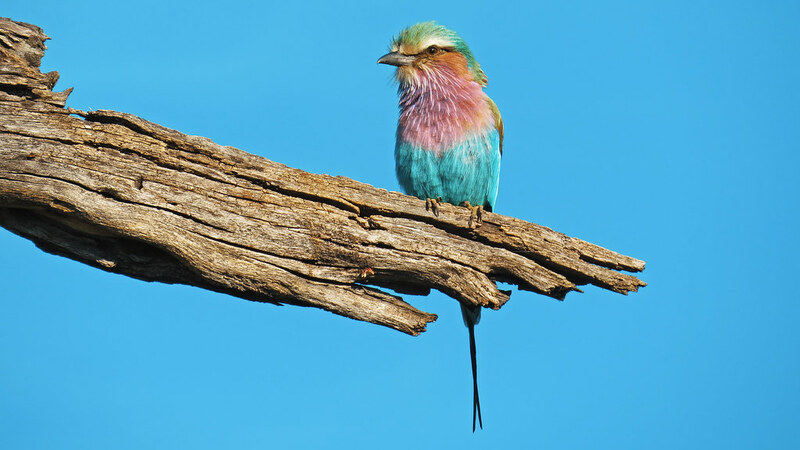 Neumann tells me that Botswana has always taken care of its wildlife with zero tolerance to poaching and about 10-15 years jail time if convicted to ensure that its kept to a minimum. I’d always known about the eco-tourism heart of Wilderness Safaris but I was in awe to discover that one of the biggest rhino cross-border relocations was pulled off with WS in collaboration with the government and Botswana defence force. 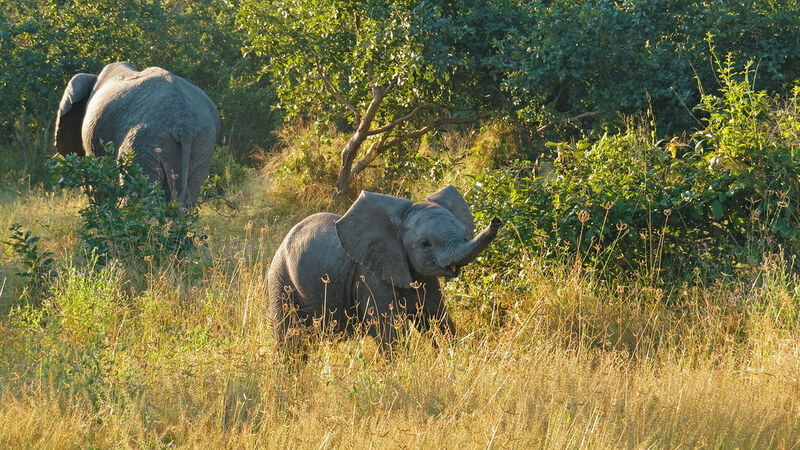 “It was an amazing project- A big plane landing on a small airstrip with a couple of rhino. 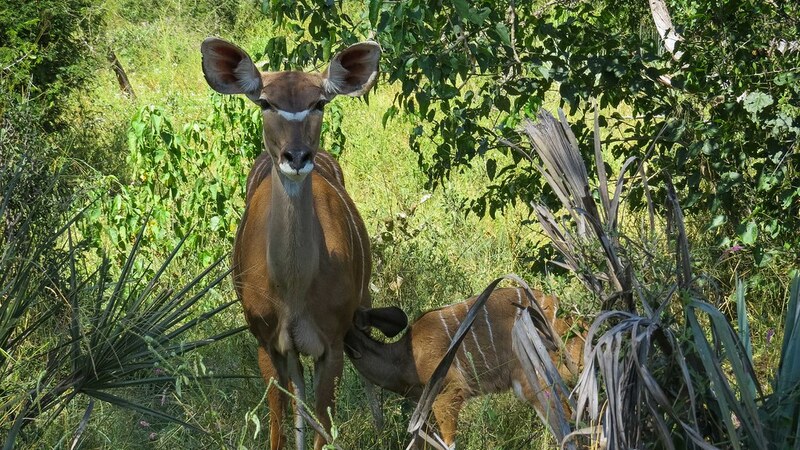 We would create bomas to keep them in whilst introducing them to local vegetation before they were released. 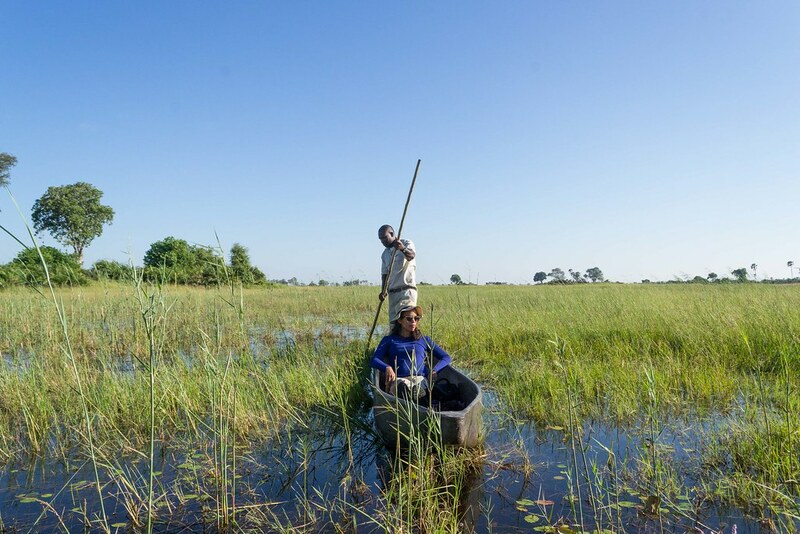 There is a dedicated environmental team who monitor them 24/7 with the Botswana Defence Force to deter poaching and to check on how they are doing. Some move long-distance, but we find them again. 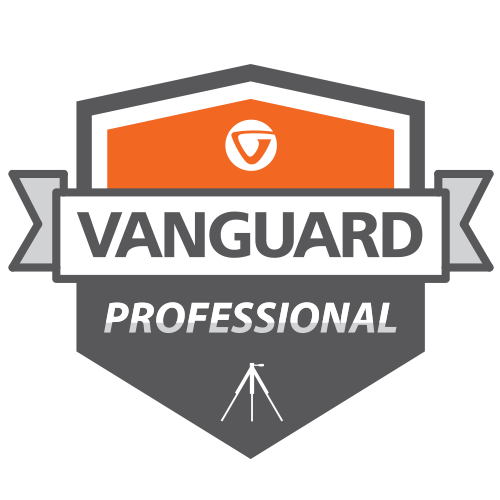 We instill a tracking device which is harmless and doesn’t affect them, plus the team can track them easily with their ranger skills and id them. 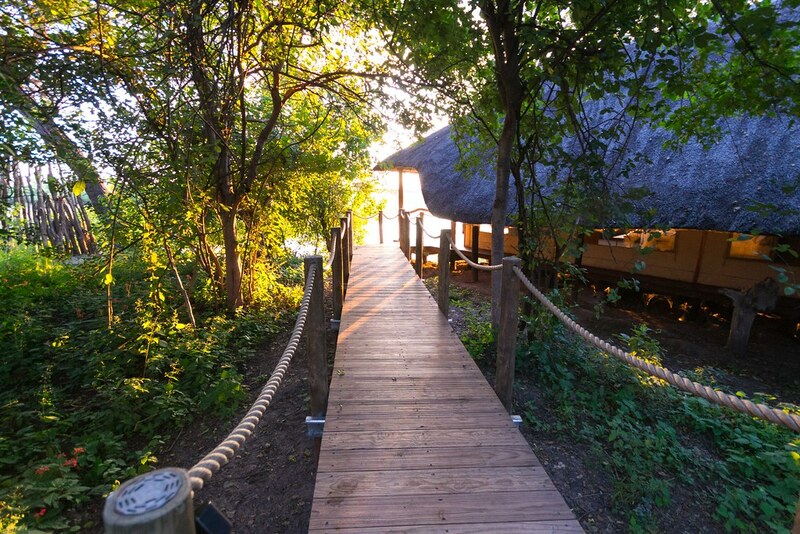 Before I got the chance to mourn my beloved Savuti home, flooded bush view, yoga mat and the Savuti family, I was on the plane again, armed with a ginger ale and coke. I made it there before any serious giddiness sank in. 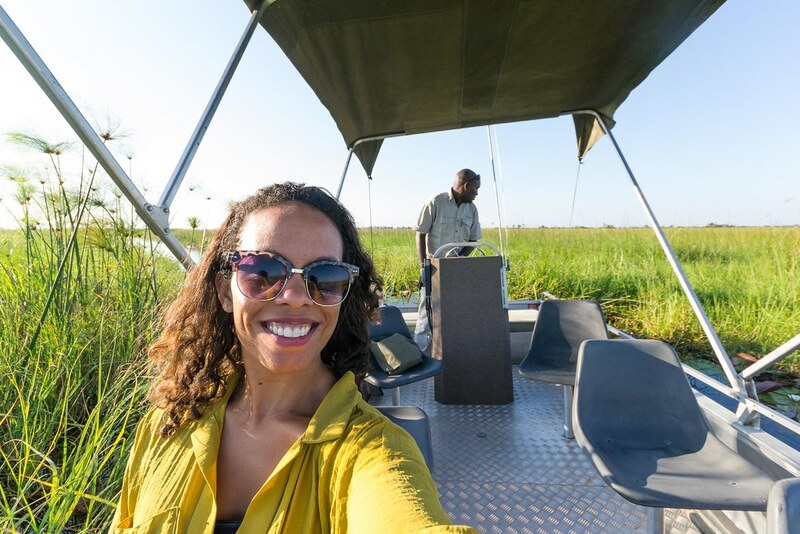 Arriving at the Tubu Tree camp which was directly in the delta, I expected to see more water than Savuti. But here, there was none for now. Here the wooden walkways were way higher and the view out from the Colonial chic lounge was vast and swept outward over flat land with tall palm trees in the distance. 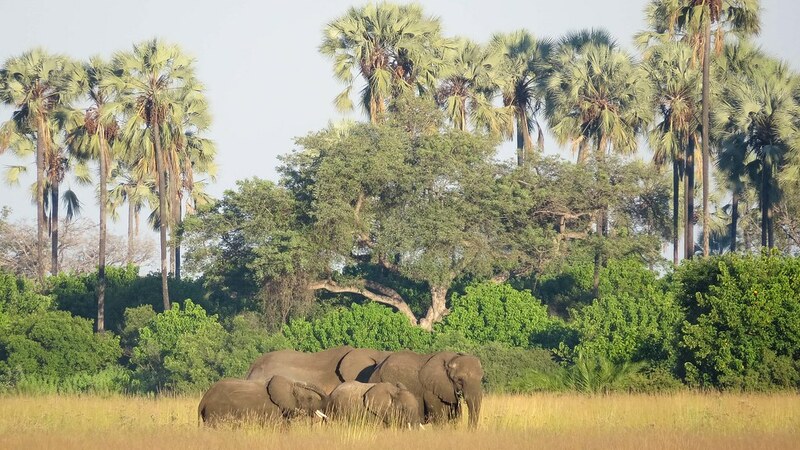 That was another conundrum of the delta, more than just the bush veld and savannah I was met with swamplands, palm trees, baobabs, mopanes- a firm mix of tropical and the bush. 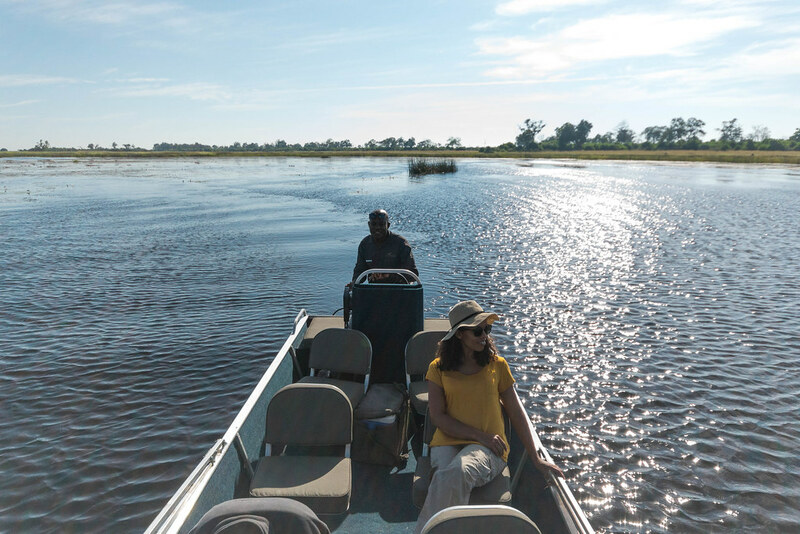 For the very first time, I waded out on a mokoro with my guide, Steve, in his own boat and my expert poler gently propelling ours between the reeds. 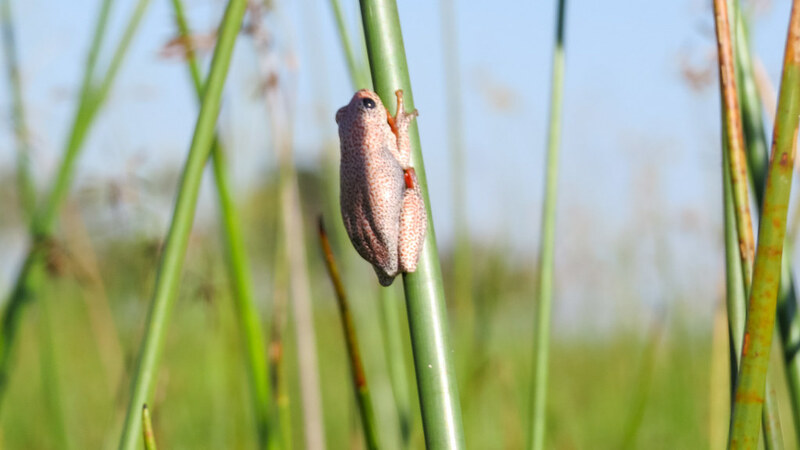 Spiders jumped into the boat from the reeds and tiny frogs clung to their homes. Aside from a few birds, there was nothing but the sounds of our canoe gently wading through the water. That was until the impossible happened. 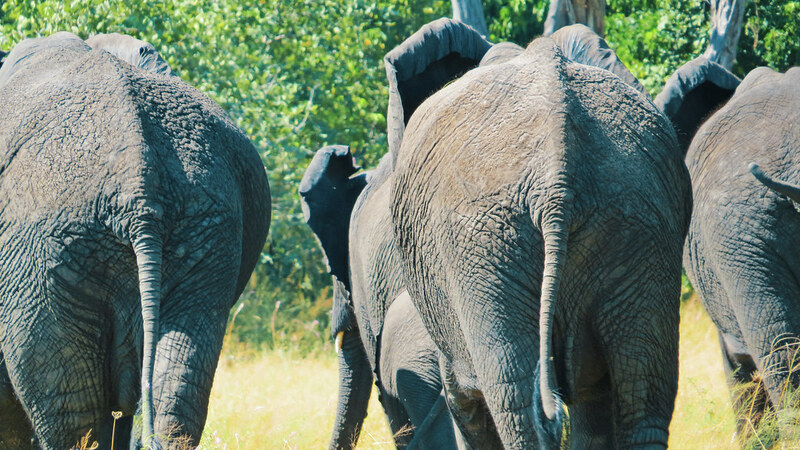 A large herd of elephants, who once seemed far away, suddenly showed up just on front of our mokoro. 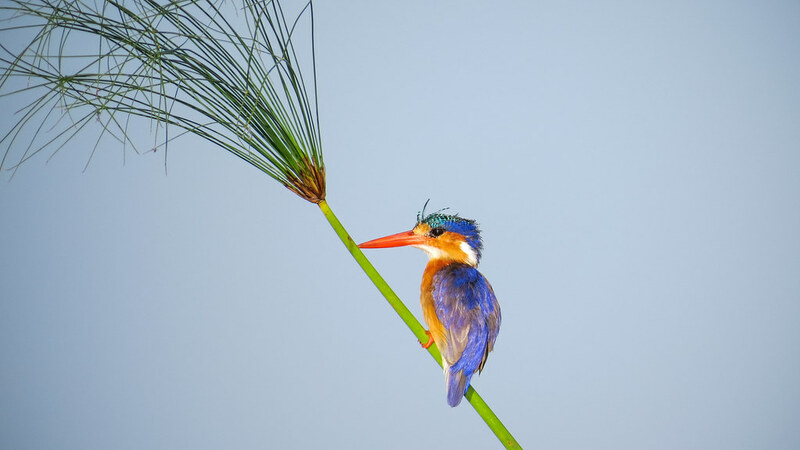 Steve instructed me to be quiet and we waited behind a short patch of reeds in silent anticipation. 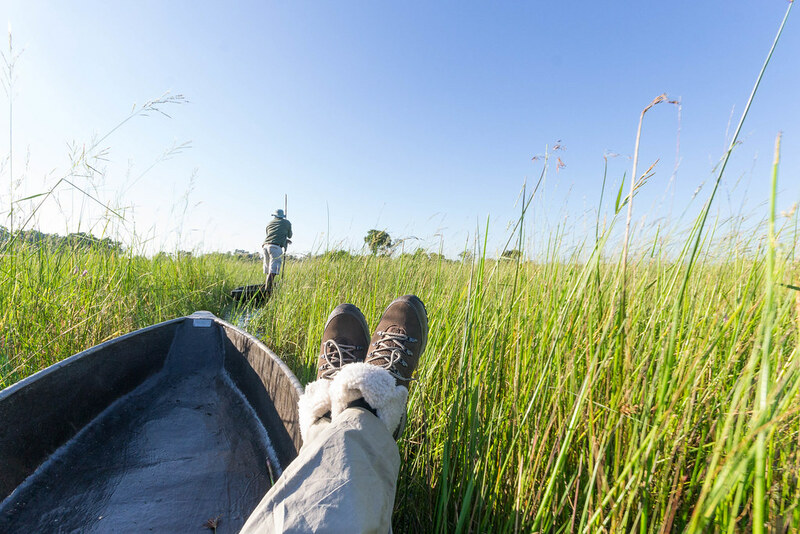 The elephants made the decision to pass through the swamp right in front of our canoes. I think I may have held my breath for the entire duration of their crossing. A tremendous swishing could be heard as there tremendous legs moved them through the water to get to the other side. If they had noticed us, they didn’t show it and in that moment, I knew I may never witness something like this ever again. 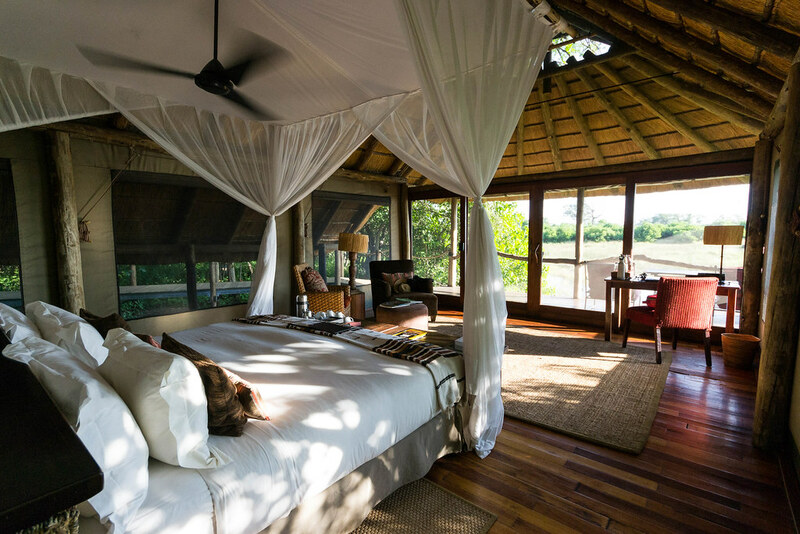 Back in my explorer’s haven, the fan whirred to keep me cool by day while high tea of salmon swirls and various cakes were served before our game drive for the evening commenced. 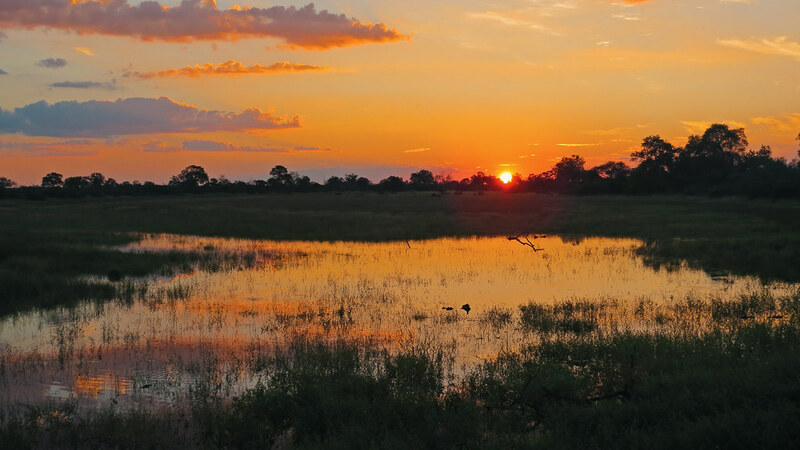 Evening drives were always a heady mix of anticipation and indulgence as we drove around before the light disappeared and the night of the bush emerged. 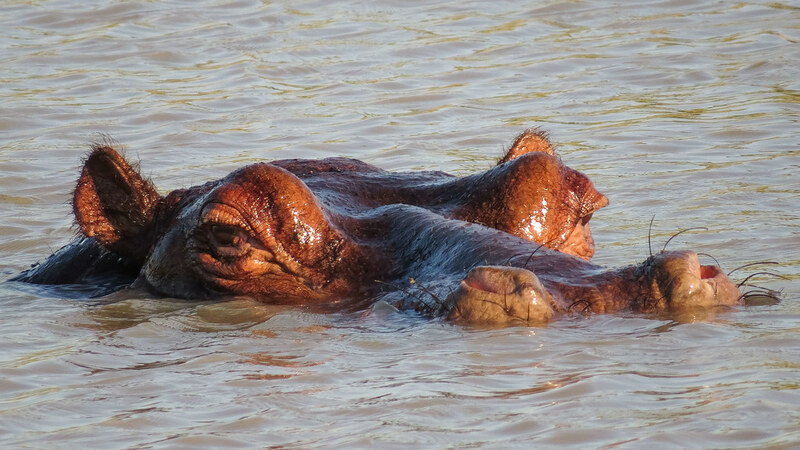 One evening was spent enjoying sundowners beside a watering hole where we had previously seen a hippo, and another evening was spent gliding down a channel with Steve at the boat’s helm and me watching a family of hippos emerge one by one once we slowed down. Some of my time, I spent in absolute silent solitude. Without any wifi, without any ability to update my social media channels with some of the magic I’d experienced. And that in itself was a true gift. I was released to experience it all, capture it with my camera, but keep it all to myself just for those few days. 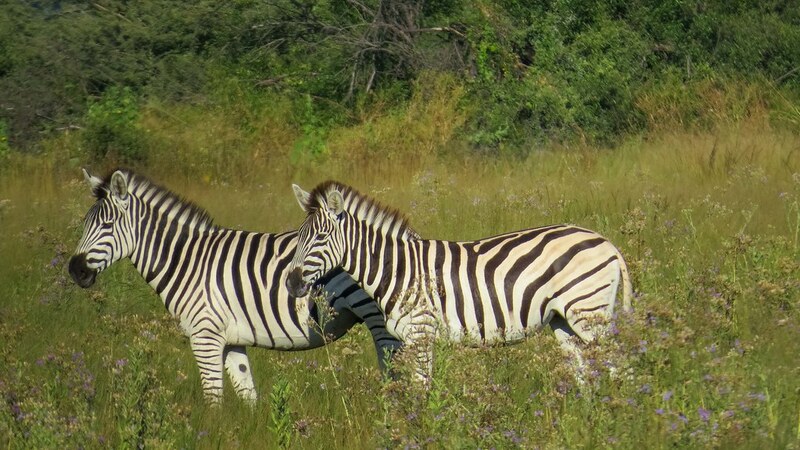 After one trip to Botswana with Wilderness Safaris and I was renewed. 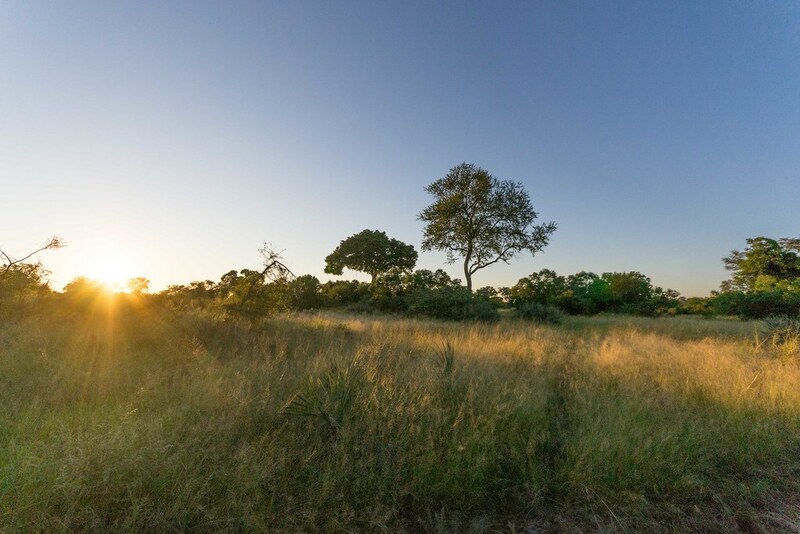 I wasn’t sure if it was the truly warm people I’d met, the African sun that had so kindly shone down on my and the land, the animals I’d had the privilege of encountering or the ethos of organisation dead set on preserving this pristine corner of the earth. Either way, it was just what I’d needed and I would be back. 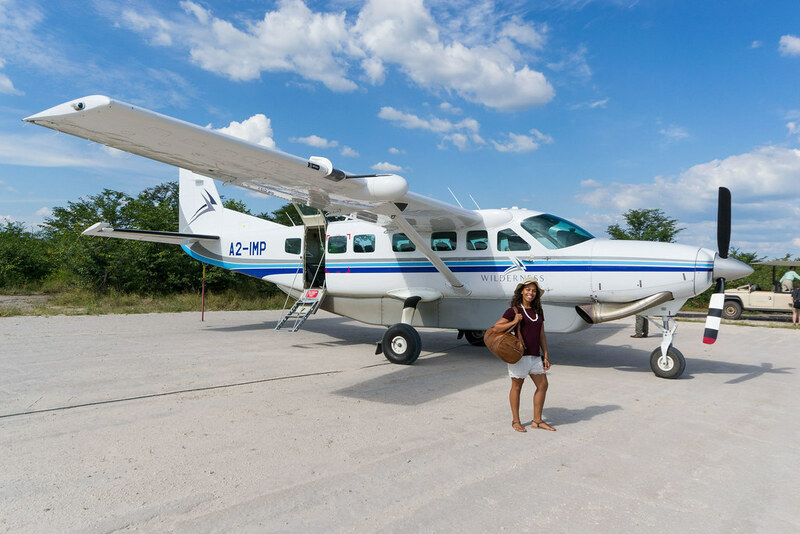 How to get from South Africa to Botswana with Airlink. 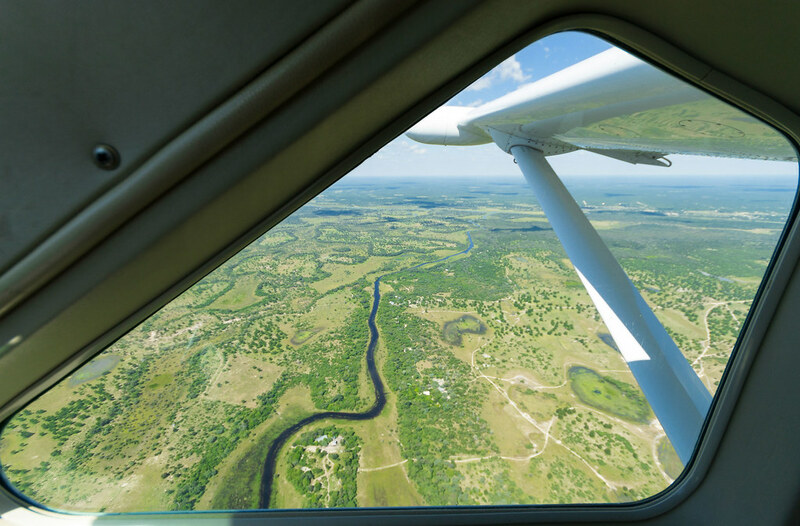 Airlink – is a privately owned airline business. The Regional Feeder Airline, offers a wide network of regional and domestic flights within southern Africa and operates as a franchisee to SAA. 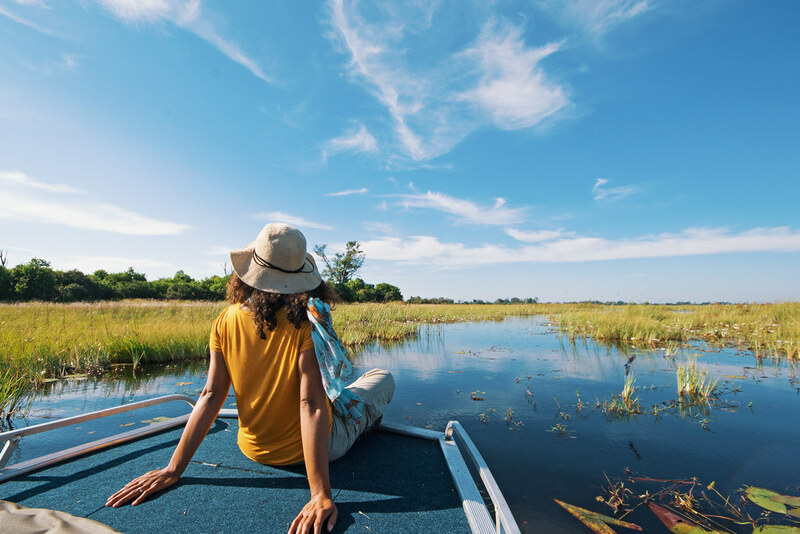 Route Specific Information: Direct scheduled flights between Johannesburg and Cape Town to Maun, Botswana. 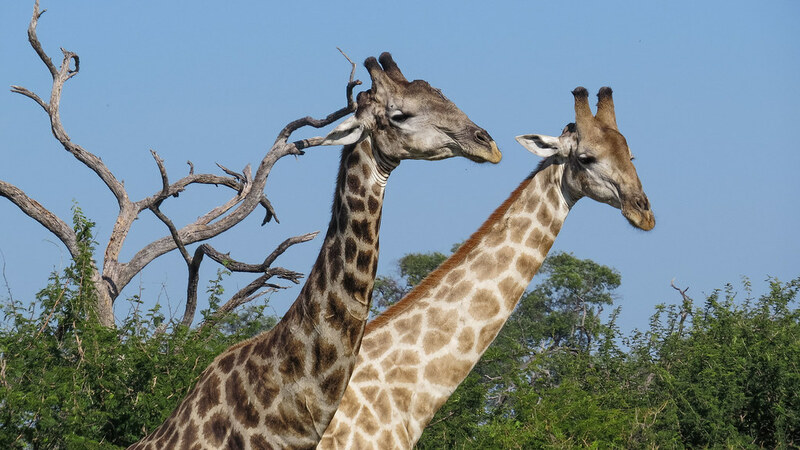 Connectivity: Through our alliance with SAA travellers can connect conveniently with SAA, their Partner airlines and other carriers throughout Southern Africa and the world. Frequent Flyer Programme: Airlink is a member of South African Airways (SAA) Loyalty programme -Voyager. Flight Bookings: online, booking agent or SAA Central Reservations +27 11 978 1111. 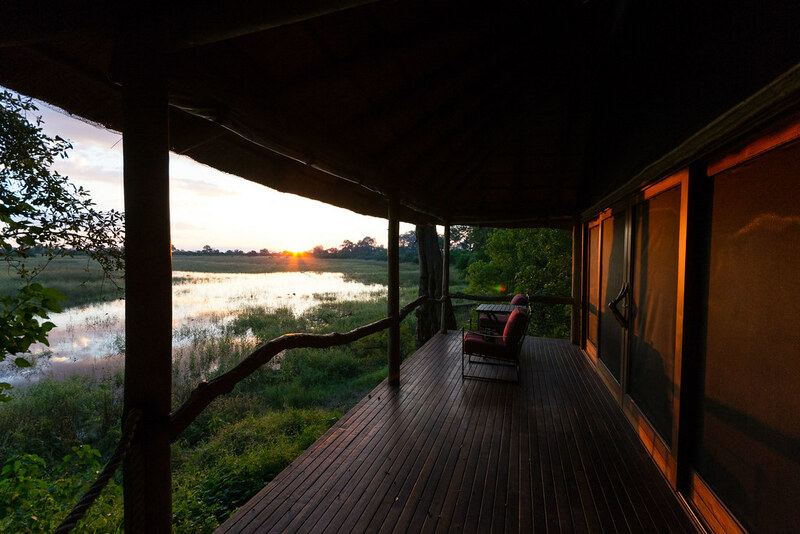 The view from my ‘tent’ at Savuti Bush Camp. 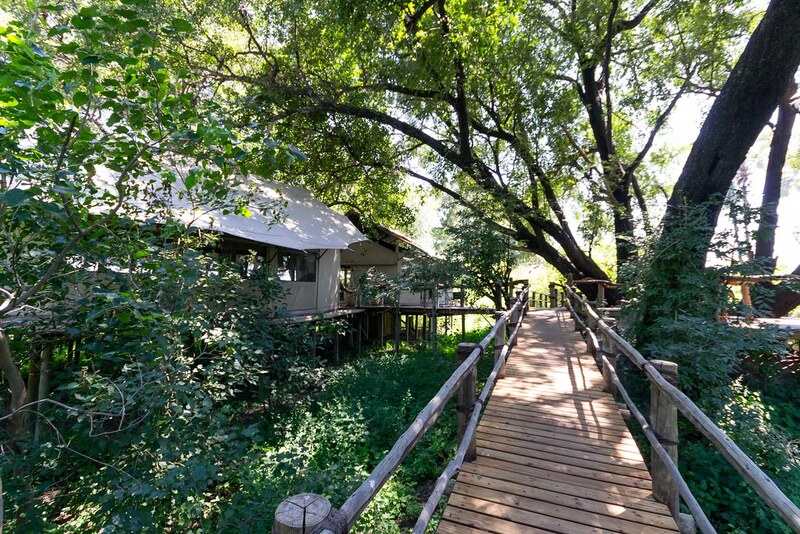 Thank you to Wilderness Safaris for hosting me at their magical camps and to Airlink for getting me there. 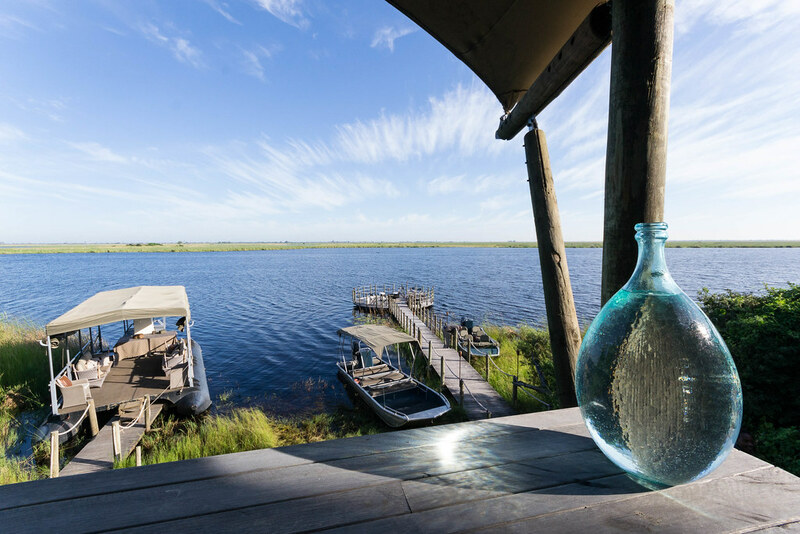 To book your stay of a lifetime at one of the Wilderness Safaris Camps in Botswana or around Africa, visit their website here and experience eco-tourism at its best: Wilderness Safaris.